In part 6 of Dairy Myths, we talk about whether or not lactose intolerance is real. What are the best Milk Alternatives? Is organic raw milk healthy? Is there pus in milk? I look at the research. We’re on the home stretch in our multi part milk and dairy series! In Part 1, we discussed bone health, in Part 2, Weight Loss, Part 3 was Heart Health, Part 4 was Cancer, Part 5 was about mortality and now we bust a bunch more myths and look at milk alternatives and and lactose intolerance. Don’t forget to catch up on the other posts (hyperlinked above) and meet me back here on the flip side. First of all, is pasteurization unhealthy and unnatural? Is raw natural milk best? Pasteurization is a commonly used technique for the treatment of dairy milk, using high-temperatures for a short-time. The purpose of pasteurization is to keep milk and dairy products safe for human consumption. The heat used in this process destroys any of the milk-borne pathogens such as campylobacter, that may be present in the milk so we can still reap the nutritional benefits from our dairy products. Failure to completely pasteurize raw milk may put us at risk for unnecessary food-borne illness. 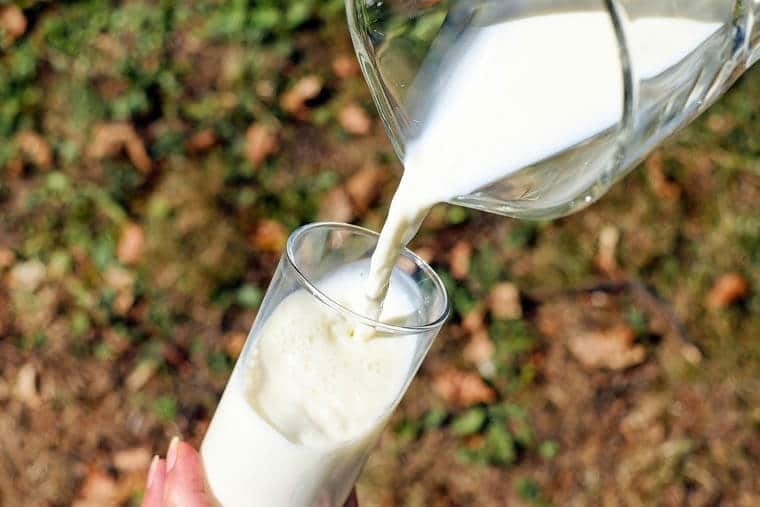 When analyzing the difference in chemical composition of pasteurized and unpasteurized milk, it was shown that pasteurized milk had a higher amount of casein protein, while unpasteurized milk had a higher concentration of whey proteins. This makes sense, as whey proteins are more ‘heat-sensitive’ and therefore are denatured at lower temperatures. More interestingly, total minerals such as calcium, magnesium and phosphorus content were actually found to be significantly higher, as well as lactose (approximately 3 grams more) and citric acid which were higher (but not significant) in pasteurized milk, while sodium was found to be lower. Overall, this is a win for pasteurization! However, since the lactose content was slightly higher in pasteurized milk, this is important for those with lactose intolerance to be aware of. There is some growing popularity about raw milk consumption, but there is a much higher risk of contracting milk-borne illnesses even if it is coming from healthy animals appearing to be producing healthy, high quality milk. The proposed health claims of raw milk having enhanced nutrition, promoting more good gut bacteria and a lower prevalence of lactose intolerance, are all myths and have absolutely no scientific support. Despite potentially losing some nutrients (not a big concern since some nutrients increased! ), the benefits far outweigh any cons. Pasteurization one of the best innovations to food safety. Here in Canada, artificial growth hormones (e.g recombinant bovine somatotropin/ rbST used to increase milk production) are banned from use in the production of both organic and conventional milk. The reason? They have been associated with higher risks of infertility and mastitis in cows, and negative health effects on humans. So yay, for food regulations! Additionally, for both organic and conventional, proper and strict measures are enforced regarding the welfare of the animals and use of antibiotics. All cows used for milk production are given antibiotics only if they are ill. They are still milked, but the milk must be discarded until the cow’s entire system is clear of antibiotics. So it’s safe to say that no hormones or meds will be found in the milk we drink, folks. As our North American society continues to urbanize with rapidly expanding fast food joints and restaurants, there has been increasing concern about consuming too many omega-6 fatty acids and not enough omega 3s. The imbalance between the two has been suggested to cause inflammation and various chronic diseases. On this quest for a better omega profile, one study published in 2016 found that there was 25% less omega-6 fatty acids and a significantly higher amount of omega-3’s (more α-linolenic acid (ALA), eicosapentaenoic acid (EPA), and docosapentaenoic acid (DHA)) and conjugated linoleic acid (CLA) in organic milk compared to conventional milk. This, however, may have been influenced by the feed of the cattle, rather than the farming practices, as organic cows are fed forage such as grass and legumes, which increased omega-3 and CLA content, while conventional milk from cows fed grains like corn causes higher levels of omega-6’s. So what does this mean? The study (supported by previous studies) has shown that organic milk has the better fatty-acid profile. So if that’s a concern for you and you want to get some more omega 3s, you should look for Organic or Grass-fed dairy. So is there a real difference between organic and conventional? Well, yes, but that difference is mainly in a shift in fatty-acid ratio due to the feed for the cows. Organic farming certification varies among countries, in some it is mandated that organic cows are fed higher levels of fresh forage (in comparison to conventional farming). Specifically in Canada, as part of the Organic Dairy Production Requirements, organic cows are only fed a high-forage diet with at least 30% requiring to be pasture and must be given organic feed for 12 months before their milk can be certified as organic. You may ask, well – are organic cows fed corn at all? In Canada, the typical feed for organic cows include haylage, hay, barley, wheat, corn and minerals. So yes, they are fed corn too – but a higher proportion of forage. If you prefer choosing organic milk, rest assured that the organic dairy regulations are followed. However, it may be more important to look for grass-fed milk than organic compared to conventional milk if you’re interested in the better fatty-acid ratio – although there is still no guarantee of what the “ratio” is in each specific brand of milk. The reality is, how the fatty-acid translates to a “better nutritional benefit” is still uncertain. What about Cow Pus and Blood in Milk? I’m honestly not sure who started this one, but let’s get some accurate and reliable information on this matter. The truth is, there is actually NO pus or blood in milk! Dairy farmers have very strict rules and standards that must be complied with concerning the purity and components in milk. If milk produced does not reach those standards then it is not adequate for sale, and the farmers must immediately correct their procedures in order to continue providing milk shipments that are of quality. This myth started as people were confusing somatic cells (white blood cells living and found in cow udders) with what they thought was pus (dead white blood cells, bacteria and dead skin cells. Somatic cells’ job is to fight infection and when the somatic cell levels are elevated, it usually means there is an infection. Thankfully, milk must have its “somatic cell count” tested to ensure the milk is coming from a healthy cow. If it doesn’t pass the test, the cows milk doesn’t go to the consumer and the sick cow gets treated. Done. No milk. No puss. Lactose is the main carbohydrate in milk, also known as ‘milk sugar.’ The majority of people around the world are able to digest lactose when they’re born, but it is estimated that about 75% of the global population will eventually lose the ability to do so. Whether you believe it or not, this has likely nothing to do with the milk we are drinking! In adulthood, individuals who develop lactose intolerance are more likely of East Asian descent, but is also common for those who are of Italian, Greek, Jewish, Arab, and West African descent. On the other hand, the population with the lowest cases of lactose intolerance are those of North European descent, likely due to their long history of unfermented dairy in their diets. If you do have lactose intolerance, keep your hopes up – because it is still possible to enjoy dairy! For example, cheese and yogurt are dairy products that are very low in lactose because their fermentation process converts the majority of lactose into lactic acid. The same goes for whey protein powder, which naturally contains only trace amounts of lactose after the filtration process that isolates the whey protein from milk. Although this intolerance exists, it is very likely that many of us confuse or mistake lactose intolerance for another type of reaction to a food unrelated to this milk sugar! A recent study found that individuals who thought they had lactose intolerance (and did not have it) avoided dairy more than those who actually had it and it significantly impacted their perceived quality of life. Like, think about it- no ice cream! It’s not good times. The Dairy “Milk” Alternatives 101 – How do they stack up? If you’re still not convinced about milk, have a milk allergy, suspect lactose intolerance, or just don’t like it- then don’t sweat it! You definitely can meet your requirements with the right milk alternative (and/or other nutrient dense foods). First, let’s talk about milk alternatives and how they compare with dairy. Canadian law requires that all dairy milk must be fortified with vitamin A and D, but that’s not required for alternatives, so check your package to see how they stack up. Another important tip is to check the ingredients, as many plant-based milk alternatives contain a ton of added sugar (whether refined or ‘100% natural cane sugar’), oils, and other food additives and stabilizers you may not be familiar with. Whenever possible, try opting for unsweetened or low sugar fortified options. Let’s look at each of the most popular non-dairy milks. Almond milk is typically a mixture of finely-ground almonds, water, salt, a sweetener (unless unsweetened), a thickener and fortified nutrients (but this is highly varied between brands). It is usually one of the plant milk options lowest in calories (as low as 30 calories a cup for unsweetened), with 0 grams of cholesterol, less than 0.5 grams of saturated fat, and 0 grams sugar (if unsweetened). It is an excellent choice for those looking to satisfy their milk cravings while watching their calories and fat. To add, the fats in almond milk are monounsaturated fats, which are known to improve blood cholesterol levels, thereby reducing our risk of heart disease. Usually almond milk is fortified with calcium, zinc, vitamin A, D, E, B12 and riboflavin (B2). 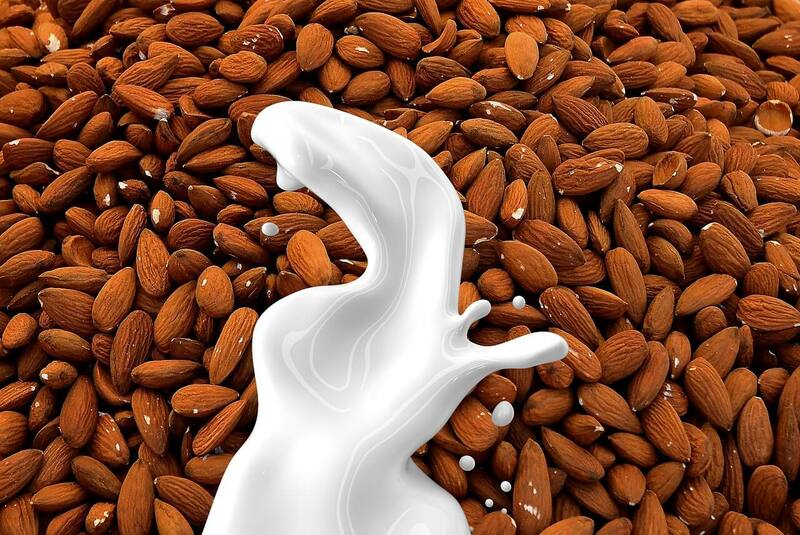 The issue is that in a lot of brands, “almond milk” hardly contains any almonds (just over a handful). Although almonds themselves are naturally high in vitamin E, you wouldn’t be getting much of this antioxidant in almond milk. Another concern that has arisen is the use of a common thickener and emulsifier (stabilizer) called carrageenan in almond milk. Carrageenan, derived from red algae, has been claimed to be a pretty evil food additive with some claiming it may damage our GI tract and even causing colon cancer in animals. It is known that the degraded carrageenan type (a.k.a poligeenan) which isn’t used as a food additive, is toxic and carcinogenic at high doses unlike the type of carrageenan that is used as a food additive. However, long-term animal studies performed on rats, a “cancer-causing effect” has not been displayed by regular (non-degraded) carrageenan on the colon. Plus, when carrageenan was tested out on various animal species, there were variable results, suggesting that this food additive may react quite differently in humans as well. Most studies to date on carrageenan used much higher doses (more than the typical person would be exposed to) and were taken alone in just water, rather than in combination with other nutritional components as in an almond milk beverage (e.g fat, protein, etc). To add, although inflammatory responses were displayed on animal and human cells, the experiments were conducted in vitro (in petri dishes, not inside our body! ), which further makes it more difficult to really understand the effect of carrageenan in humans. To conclude this topic, what can be said is that carrageenan in our plant milks is not something to freak out about, as it is unlikely you will suffer from intestinal disturbances or other health issues because of it. And therefore, it is likely safe consumed in small doses (as it usually is in the case of almond milk anyways). Some brands are also much higher in sodium compared to dairy milk, so it is important to read the Nutrition Facts label before purchasing. Another potential downside to almond milk is that it is very low in protein (approximately 1 gram per cup), while cow’s milk has 8 grams per cup. If you prefer to drink almond milk, just make sure that you are getting sufficient amounts of complete protein sources in the rest of your daily diet. Having said all that, it’s great if you love its nutty flavour (I do!!) and low calories. Being made from whole soybeans, soy milk contains various essential nutrients and is a good source of complete protein, making it an excellent option for those who are vegetarian and vegan. 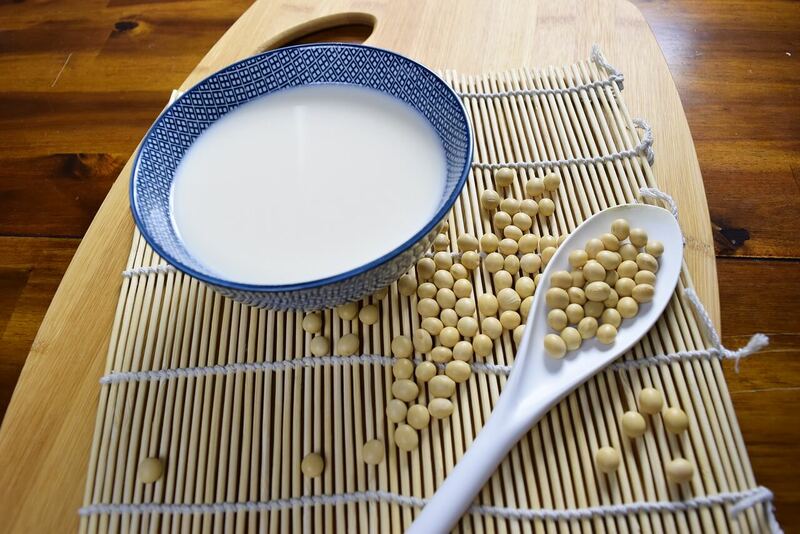 Soy milk is a rich source of protein (ranging from 6-8 grams per cup), and is typically enriched with other micronutrients such as calcium, vitamin D, vitamin A and B vitamins such as riboflavin and B-12. Since the protein found in soy is high quality, it is comparable to protein from animal products. Soy milk is also another source of ALA (alpha linolenic acid), an omega-3 fatty acid that is essential to everyday functioning of your body. 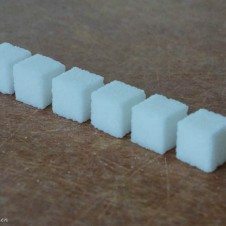 It typically has 3-4.5 grams of fat with only 0.5 being saturated fat (although there are light and fat-free versions available), 0 grams of cholesterol, and is low in sugar (1 gram if unsweetened). Unsweetened soymilk is very similar in calories compared to skim or 1% cow milk. Recently, the media has been selling a lot of “soy is bad” stories related to soy’s isoflavone phytochemical compound (phytoestrogen). Phytoestrogen is similar in structure to the human female hormone estrogen so many believe it may “cause breast cancer” and hormone imbalances due to its “estrogen-like effects”. However, human trials have found that soy consumption does not increase circulating hormones such as estradiol or any of the body tissues that normally respond to human estrogen. Additionally, the isoflavones (phytoestrogen plant chemicals) found in soy have been associated with preventing some hormone-related cancers such as breast, endometrial and prostate cancer. Dairy milk still has the highest amount of potassium, which is known to help with blood pressure management, but soy milk follows it, whereas almond milk has the lowest amount. For those with gout, soy milk may not be the best option because of the naturally-occurring “purine” which can aggravate the symptoms of gout, and therefore it is not recommended to consume too many soy products. Depending on the type of coconut milk you get (based on sugar and fat content), the nutrition varies widely. Coconuts are naturally higher in fat, almost all of which are saturated, with the major fatty acid being lauric acid, a medium chain saturated fatty acid (MCFA). Early research suggests that MCFAs, in comparison to long-chain fatty acids, are converted by the liver as energy (said to be calorie-burning), are stored less readily as fat, and possibly increase HDL (good blood cholesterol) levels. 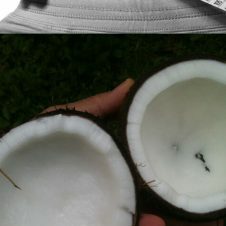 Although I’m sure you’ve heard tons about the “weight-loss” and “health benefits” that come from incorporating coconut in your diet, there is still inconsistency in the evidence of the many health claims. 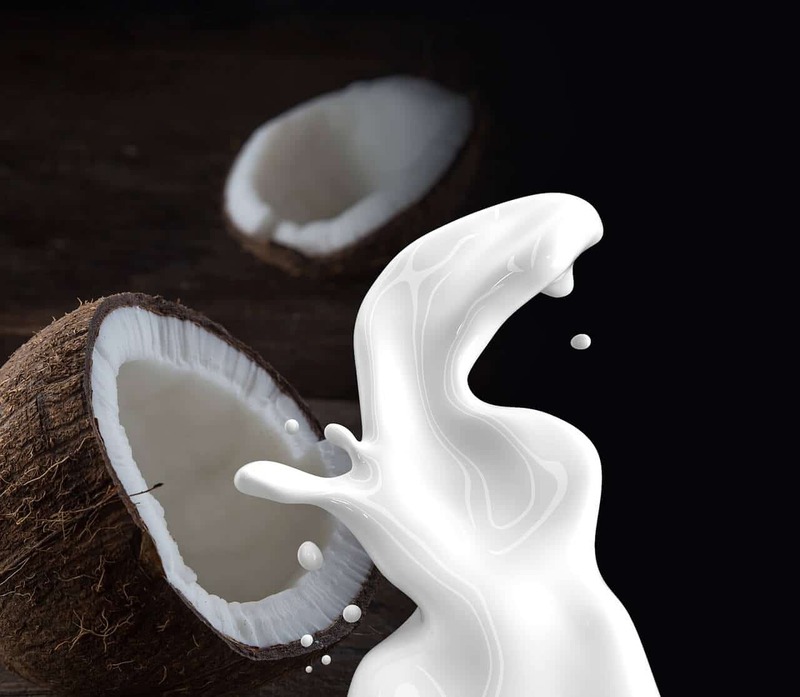 The coconut milk beverage versions you see on the shelves of the dairy section next to the other plant milks are usually mostly filtered water with coconut cream. When looking at the unsweetened option, they have 4 grams of fat (3.5 grams being saturated fat), are low in calories (as low as 45 calories), low in protein (about 0.4 to 1 grams per cup) and are fortified with nutrients such as calcium, vitamin A, D, and B12. Overall, the coconut milk beverage is still a good plant-based milk alternative if you like its tropical flavour. Cashew milk is the plant-based milk with the LOWEST in calories (as low as 25 calories per cup for unsweetened versions). It contains 0 g of saturated fat and cholesterol. The fats in cashew milk are mainly monounsaturated fats, just like in almond milk, which are healthy fats that provide benefits to our blood lipid profile. Another pro that may attract you is that it claims to be “creamier than skim milk.” The ingredients of cashew milk are very similar with almond milk, in terms of both the high water content, added stabilizers and low protein content (often <1 gram per serving). And just like the other milks, it is a good source of calcium, vitamin A, E and D.
Rice milk is similar in ingredients to those in almond milk, with most of it being filtered water, and blended milled brown rice with added vitamins and minerals. There isn’t anything unique in terms of its health benefits that rice milk provides. However, it is a good beverage option for those who are allergic to almonds, other nuts, dairy or soy. In the processing of rice milk, the carbohydrates are broken down into simpler sugars that gives it a “sweeter flavour.” Just like almond or cashew milk, rice milk hardly has any protein so ensuring that you have enough protein from other dietary sources is essential. Rice milk is enriched with nutrients such as calcium, vitamin D and B vitamins (but lacks vitamin A that cows milk has). A typical cup of rice milk provides 120 calories (90 if unsweetened), 2.5 grams of fat, 0 grams of saturated fat, and cholesterol, 23 grams of carbohydrates (15 grams if unsweetened) and 10 grams of sugars (but unsweetened is the better option with less than 1 gram). If choosing rice milk, I would suggest leaving out any added sugars or sweeteners. Oat milk is a great option for its fiber and protein content (about 4 grams a cup), and if you’re not very fond of the “nutty flavour” of other plant milks, as it offers a milder and grain-based taste. On the downside, it is usually higher in sugar (19 grams) and calories (130 cal) per cup, so opting for an unsweetened version is your best bet. 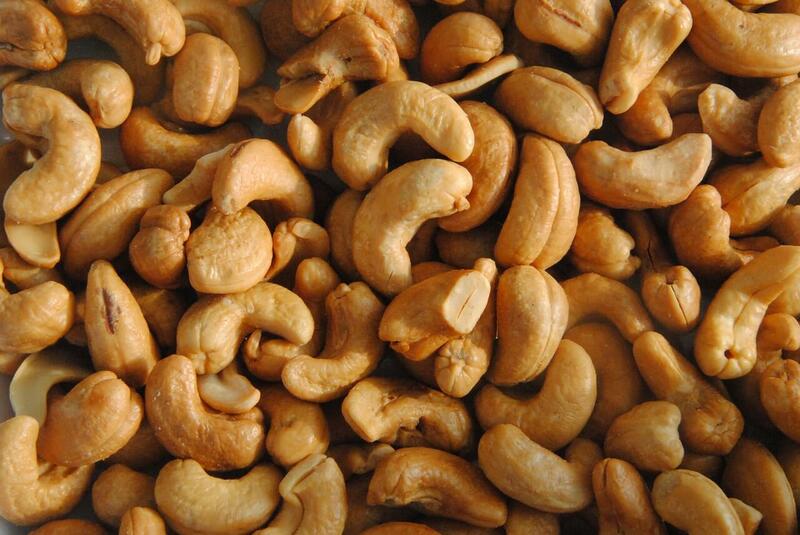 It is low in saturated fat and has 0 grams of cholesterol, and has vitamin E, folic acid, and other plant chemicals that aid in the prevention of cardiovascular disease and some cancers. The major concern with oat milk is that it is not gluten-free-friendly, so those with gluten intolerances should avoid this one. Hemp milk is higher in fat (5 grams per cup) then most plant-based milks but all except 0.5 grams of it is made up of our omega-3 “heart-healthy fats.” These polyunsaturated fats improve our blood cholesterol levels, which may help reduce the risk of cardiovascular disease and type 2 diabetes. Hemp milk is higher in protein compared to almond, coconut and rice milk (3 grams) but still not as much as dairy, soy and oat milk, with just 70 calories for every cup. Also, it has a fresh grassy flavor which some people just do not like. Overall, are Dairy or Plant Milks Better? If you suspect lactose intolerance, or just don’t like dairy, then of course, plant milks will be the way to go. Having said that, while fortified and enriched plant-based milk alternatives offer various nutrients similar to dairy none are not nutritionally identical. Of all of the options, fortified soy milk is the most comparable alternative and is even included in the food guide. However, availability of nutrients may vary in soy and dairy milk due to the “phytates” AND “oxalates” that act as anti-nutrients and prevent absorption by binding with micronutrients such as calcium, iron, copper, zinc and magnesium. Soy also naturally contains “trypsin inhibitors” that prevent the function of trypsin, a protein-digesting enzyme required to absorb protein. For these reasons, soy milk may not provide a comparable nutritional profile as cow milk after all because of these potential issues with malabsorption (lower absorption factor) of various nutrients. Plant foods in general will contain different levels of these anti-nutrients, which may make it more challenging to get enough calcium from non-dairy sources. If I prefer not to consume dairy products or suspect lactose intolerance, can I get enough calcium and essential nutrients from other non-dairy dietary alternatives for bone health? Even though there are many other sources of calcium, dairy milk is a very efficient way of obtaining it. A recent investigation at Purdue University found that an individual would need to consume eight cups of spinach, nearly five cups of red beans or 21/4 cups of broccoli to obtain the same amount of calcium (300 mg) absorbed from one cup of milk. And its not just about volume, it’s about bioavailability. How much of the nutrient that can actually be ABSORBED by our body. Even if you are consuming tons of a certain product, it won’t matter at all if none or hardly any of it gets absorbed! The calcium found in dairy milk is already in a bioavailable, easily-absorbable form, whereas plant sources have anti-nutrients that inhibit the absorption of calcium, thereby reducing the amount the body is able to use. For instance, although soy milk is considered the relatively comparable alternative to dairy, when fortified with tricalcium phosphate, the bioavailability is still about 75% of calcium compared to cow’s milk. In dairy milk, there are also unique components such as casein phosphopeptides, lactose, and vitamin D already present that all enhance the absorption of calcium (approximately 30-35%). In the end, it is still possible to reach calcium requirements on a plant-based diet, it just may take a bit more planning. Dairy is a nutritious source of calcium, vitamin D, and other essential nutrients that are beneficial to human health. Try to meet the adult calcium recommendation of 1000-1200 mg for bone health and prevention of fractures. Getting calcium from our diet may be better than relying on supplements alone. Milk fat DOESN’T make you fat. There are unique components of dairy that can potentially benefit our heart, blood lipid levels, weight management, and colon cancer. Milk isn’t acidic and wont ‘erode’ your bones. Pasteurization is necessary for safe consumption of milk and dairy products. Organic and conventional milk are both nutritionally beneficial. Our milk doesn’t contain hormones, antibiotics, pus or blood. It is possible to get calcium from other non-dairy dietary sources for those with lactose intolerance, but some anti-nutrients may decrease the amount we actually absorb. So it’s really important that we are able to eat a variety of different whole foods to ensure we are getting all the nutrients we need. Lactose intolerance likely does exist to various degrees, but does not necessarily have to prevent us from enjoying dairy in some capacity! Plant-based milk alternatives are wonderful options that still offer essential nutrients, although they differ depending on the type. 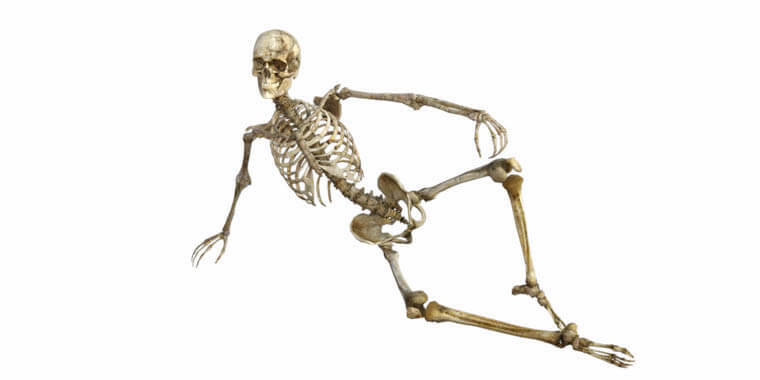 Physical activity plays such a significant role in not only bone health – but OVERALL health! What are your thoughts on milk and dairy? Do you have lactose intolerance? What are your favourite milk alternatives? 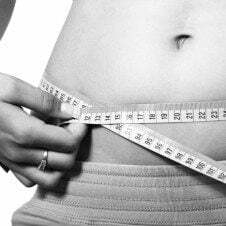 Previous Post Nutrition Buzzwords That Are Full of Sh*t | Superfood, Clean, Detox and More! I’m good with dairy. I use skim milk. Eat yogurt and ice cream….all in moderation, though. Especially with ice cream. Too much of the wrong kind and i’ll pay for it. My system can’t handle too much dairy anymore. In the last few years I can’t even digest regular ice cream anymore – and I love it so much! I have dairy in my morning coffee and sometimes a yogurt. I love almond milk and coconut milk!! I’m with Deborah – I drink skim and unsweetened almond milk. I love milk and can’t imagine not drinking it, but I really didn’t know some of these things. Very educational! Such a great resource for people who can’t consume Dairy!! I love this so much. I really want to try hemp milk now! it has a very interesting taste! Abbey this is another great resource. Dairy is one [of many] nutrition debates that will probably never go away. You pack so much great info in this post! I’m not a big milk drinker only because I don’t like the taste. But I have no problem adding it to recipes and meals. Thanks for doing so much work and research on this post. Great article, Abbey! You touch on so many great talking points and clear up a lot of misinformation. So much information and a very helpful article for so many. I love how in depth you go and look at all the alternatives and stack up all the info. Wow that’ s a lot of great info! I usually drink skim milk and unsweetened almond milk. You really have to look at the labels to see what is in some of the milk alternatives. This post was so informative! I typically drink unsweetened almond milk and skim milk. Skim milk is a lot better for frothing…HA! Have a wonderful day!